pixel party art is ripped from ROMs, vectorized into commands for robots, who cut components from vinyl and recycled wood. each piece is assembled by hand and sealed with an epoxy so shiny you'll have to stop your friends from licking your art. 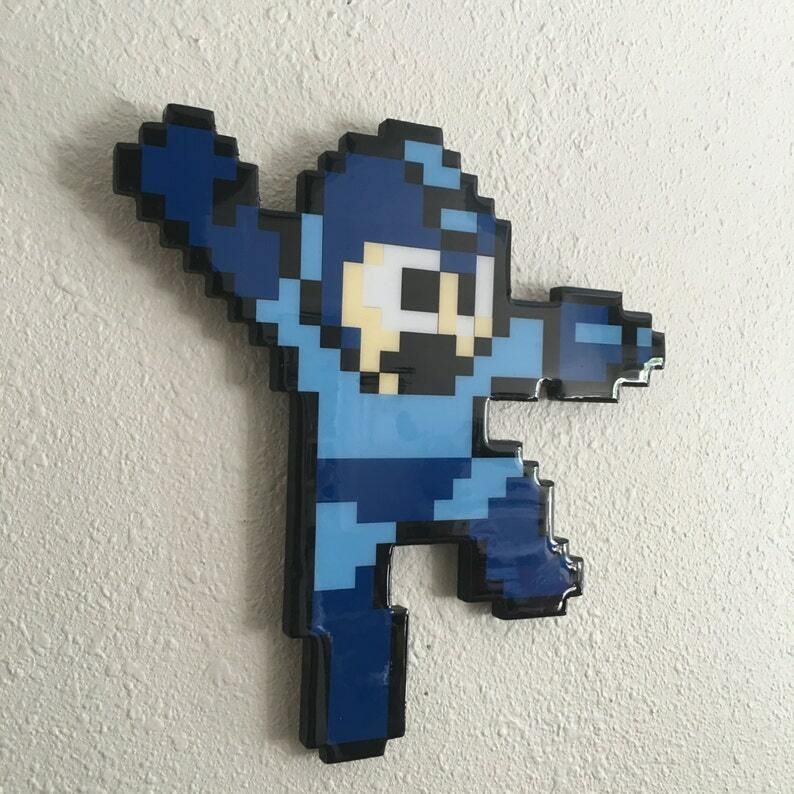 this megaman is 14.5 x 15" and ready to hang on your wall.